One of the safest, most effective therapies for your pet’s kidney health. Nourishes weak, stressed and under-performing kidneys. Pure, safe antibiotic and hormone free kidney tissue from New Zealand cows. Ingredients: Freeze dried lyophilized bovine kidney gland. Size: Each container includes 25 grams (powder). Kit contains TWO 25 gram containers. Not available in single units. One of the most simple, yet most effective kidney support supplement’s available for your dog. Kidney Glandular is just that, kidney gland. 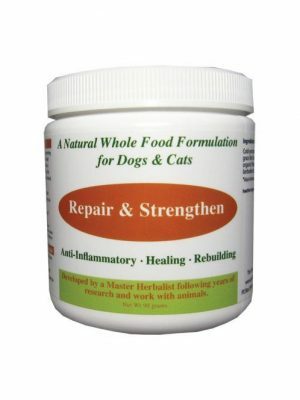 It’s one of the safest and most effective Holistic therapeutic methods available for your pet’s kidney problems including kidney failure, or to simply support healthy kidneys. 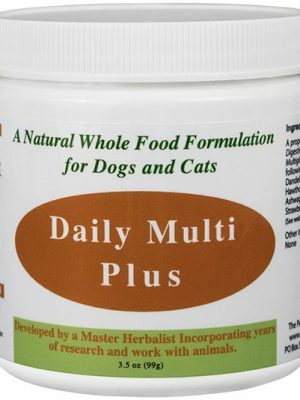 This supplement is a whole food and an excellent addition for your dog’s kidney diet. The belief behind using glandular therapy is that when these glands are taken internally, they support the same gland within the dog’s body. It’s BEST, especially if your dog is already battling a disease or sickness to limit organ supplementation to pastured or grass finished (not just grass fed) animals. It makes perfect sense for your pet to ingest organ meat from animals who lived out their lives on a pasture and were fed a diet that was biologically appropriate for their own particular species. 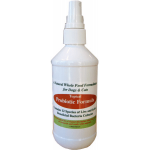 This eliminates the risk of disease and other threatening toxins associated with confined farming practices. 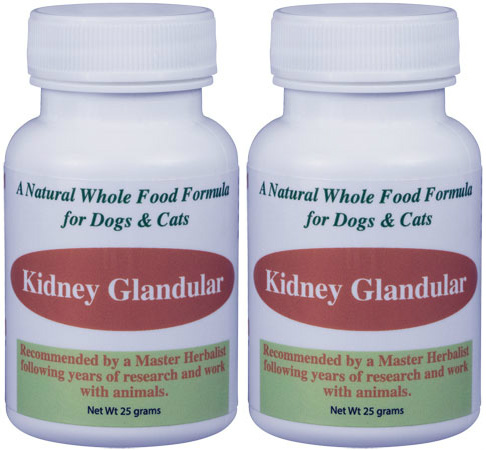 Again, kidney Glandular is one of the best supplements for dogs with kidney disease and definitely recommended along side other supplements for dogs with kidney failure. It is certified PURE New Zealand Glandular freeze dried tissue taken from cows that were raised free range and antibiotic and hormone free as well as porcine free. For animals in the wild, eating glands is a vital part of their nutrition. For example, when a dog consumes kidney gland, it will prosper from the many fat and water soluble vitamins as well as enzymes, co-factors, proteins and fatty acids specifically for kidney health. DOSAGE: Feed 1/8 – 1/4 teaspoon (which is equivalent to 200 -400mg) daily. Divide the dosage between meals. Storage: Room temperature away from heat & moisture. 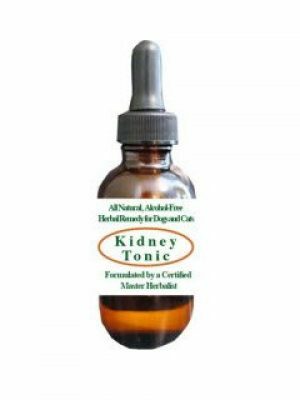 A safe and effective therapeutic way to provide kidney support to both ailing or healthy kidneys. Excellent way to nourish weak, stressed and under-performing kidneys. Kidney tissue provides vital micro nutrients. May have the potential to slow the progression of degenerative disease and promote healing of already damaged tissue. For your pet’s safety, our glandular is certified PURE New Zealand gland and tissue taken from animals who were antibiotic and hormone free and lived free range. 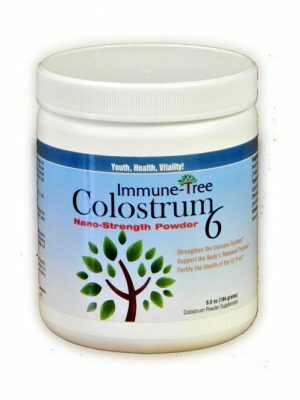 It is the perfect kidney support supplement for dogs. How Does Glandular Therapy Work for Pets? Glandular Therapy involves the feeding of glands, tissue and organs from healthy animals to both dogs and cats. Given as either tissue extract or fresh tissue to help improve the organ involved. The idea behind glandular therapy is to strengthen the weakened organ or gland in question. Glandular therapy increases organ/tissue function, tone and activity. Dye and radioactive studies have shown that vital nutrients from a glandular supplement are typically absorbed intact or only slightly degraded while accumulating in the tissues of the organ or gland involved. Lab studies have detailed accelerated improvement of tagged cells or their components by traumatized glands or organs vs normal glands and organs. This is a very safe form of supplementation with no apparent side effects. This is considered a natural, whole food supplying vital nutrients. The safe, natural, whole food doses of supplemental nutrients have a beneficial result associated with various health problems involving glandular insufficiency.